19-year-old Laura Tesoro from Antwerp is a multi-talented performer: she sings, dances, acts and presents. This Belgian with Italian roots inherited the showbiz gene from her parents, who were both musical artists. She got her first television role when she was 8 and by the time she was 11 she was starring in the musical Annie. 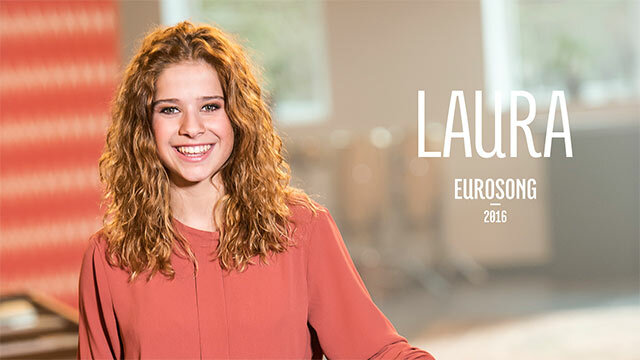 Energetic Laura participated successfully in song contests such asKetnetpop, The Voice and most recently Eurosong, the Belgian national selection for the Eurovision Song Contest. She performs with her own live band and has already released several of her own songs. She loves up-tempo pop, with a dash of funk and soul. Her favourite artists are Bruno Mars, Michael Jackson, Beyoncé and Stevie Wonder. Laura’s Eurovision number What’s The Pressure is exactly the sort of song she loves to listen to and sing. The first time I conquered a stage was in 2008 in the musical ‘Annie’ , I got chosen to play Annie herself and I played that part with a lot of proud. I grew up with Musicals because of my parents. Watching them on stage made me want to do the same. In 2010 I participated in a TV show called ‘KetnetPop’ where I explored and discovered my passion for pop music. I did a lot of little acting things for TV during my childhood, but music was always my priority and will always be. In 2014, I ended up as runner-up in the Voice and now I am here, participating at Eurosong! E+: What impelled you to take part in “Eurosong 2016”? 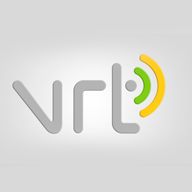 I think it would be an honour to represent Belgium in the Eurovision Song Contest, so I had to seize this opportunity! For me this is a challenge, and I always challenge myself. E+: Can you tell us about your song “What’s The Pressure”? What is the story behind the lyrics? ‘What’s the pressure’ is about the fact that al lot of people try to live up to expectations, but sometimes you just have to let it go, ‘do you’ and ‘be you’. It’s important to tell the truth to yourself in everything you do. E+: Do you usually watch Eurovision? What are your favorites songs of the history of the competition? I always follow Belgium in the competition, that’s for sure. I do have an all time favorite Eurovision song and that’s ‘Euphoria’, although I loved ‘Rhythm inside’ from Loic Nottet. It would be nice to sing Dum Tek tek together with Hadise! I hope I’ll be having a great summer with a lot of gigs and, of course, I’ll be working on some new songs! I hope you’re all enjoying ‘Eurosong’ as much as we do. We all love performing for you guys, so every live show is a blast! Thank you for all the support!